When Minnesota Sen. Amy Klobuchar had her turn to question Supreme Court nominee Brett Kavanaugh on Thursday, it started calmly. Klobuchar asked Kavanaugh about his thoughts on the FBI investigating the allegation Kavanaugh sexually assaulted Christine Blasey Ford while the two were in high school. Kavanaugh seemed to deflect the questions. He told Klobuchar he respects her. 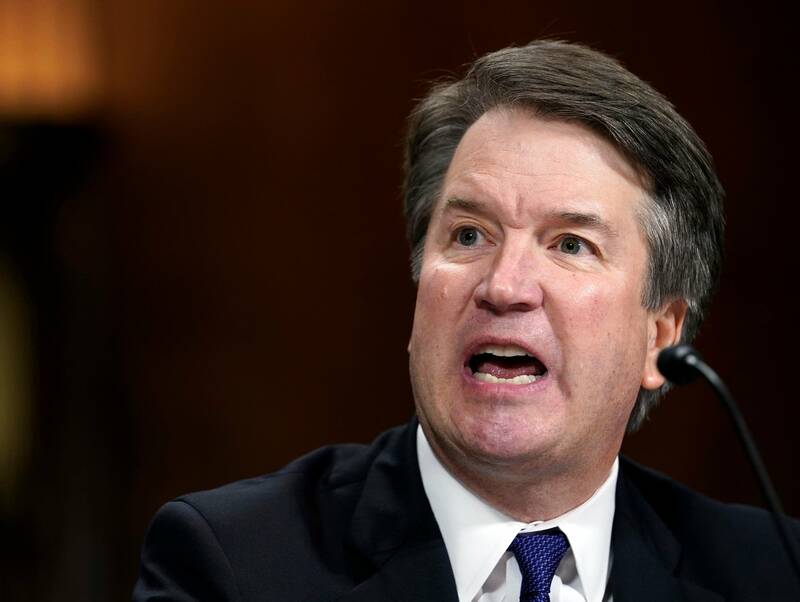 Then, the questions during Thursday's Senate Judiciary Committee hearing turned to Kavanaugh's teenage alcohol consumption and the judge's sometimes angry tone during the hearings showed. It was relevant to the hearing because Ford accused Kavanaugh of sexually assaulting her while she said he was visibly drunk. "[As] a former prosecutor, I'm trying to get at the facts. And I'm trying to get at, really, truthfulness," Klobuchar told MPR News after the hearing regarding why she asked about the nominee's drinking. "Most people have done some drinking in high school and college. And many people even struggle with alcoholism and binge drinking. My own dad struggled with alcoholism most of his life and he got in trouble for it and there were consequences. He is still in AA at age 90 and he's sober. And in his words, he was 'pursued by grace' and that's how he got through this. "In your case, you have said here and other places that you never drank so much that you didn't remember what happened." Klobuchar then noted one of Kavanaugh's college roommates said he drank frequently and would sometimes get belligerent. Another roommate said it wouldn't be credible to say Kavanaugh didn't have memory lapses. In his response, Kavanaugh said he wouldn't talk publicly about the college roommate, noting there was conflict among the roommate in question and another person they lived with. The Democratic senator brought up Kavanaugh's written testimony where he said he sometimes would have too many drinks. She then asked whether Kavanaugh ever drank so much that he couldn't remember what happened or part of what happened the night before. Amid a back-and-forth exchange, he asked "Have you?" and repeated the question. "I have no drinking problem, judge," Klobuchar answered. Kavanaugh responded: "Yeah, nor do I." After a break, Kavanaugh took a moment to apologize to Klobuchar for the questions. "Sorry I did that, this is a tough process," he said. "I appreciate that," Klobuchar responded. "When you have a parent that's an alcoholic, you're pretty careful about drinking." Klobuchar reiterated her goal in questioning Kavanaugh was "trying to get to the bottom of the facts and the evidence." She said FBI should look into the assaults in what she described as a "background check" rather than an investigation. 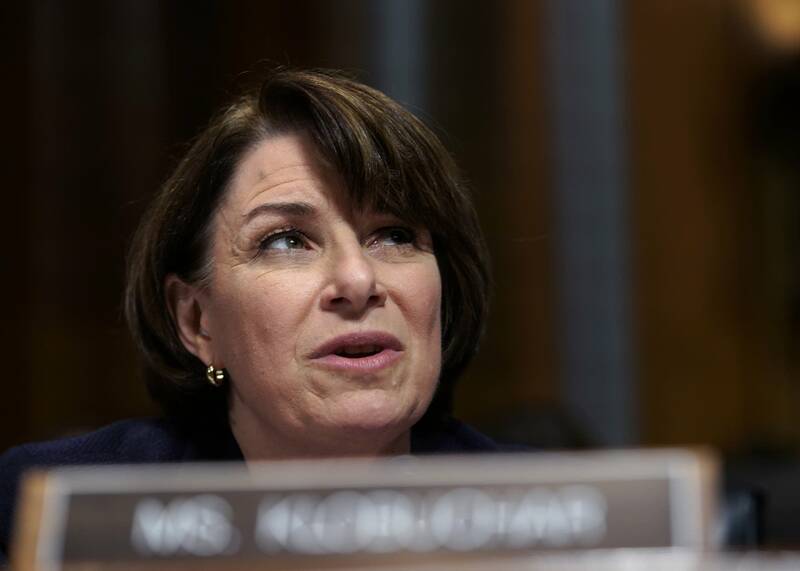 Klobuchar has been vocal about growing up the daughter of an alcoholic and its influence on her as a child. Her dad sought treatment after his third drunk driving offense. That was three weeks before his daughter's wedding.